Essay transitions can make or break your academic papers. Don’t let a limited vocabulary get in your way. 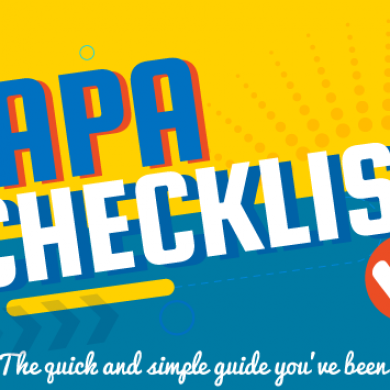 Download our free cheat sheet now! Ever submitted what you think is a great essay only to be informed by your tutor that it lacked coherence? When your profs talk about coherence, they are basically referring to how your essay flowed from one idea to the next. The best essays are those that present a thesis statement, and then gradually build an argument to support the main ideas. But a great thesis statement and a well-researched argument are not enough to create a compelling essay. You also need to take your reader on a journey as you progress through your essay in a clear and structured way. This is where essay transitions come in. Transitions are words or short phrases that prepare the reader for a mental shift in the argument and guide his or her thought process. It sounds simple enough. So why do so many students struggle to use transitions effectively? One of the biggest issues our essays editors regularly encounter is lack of imagination and variety. For a tutor who has a pile of thirty papers to grade, this isn’t going to cut the mustard. As such, you should be trying to make your essays, dissertations, and other academic papers much more interesting by using engaging transitions. Think this sounds difficult? It’s actually really easy. 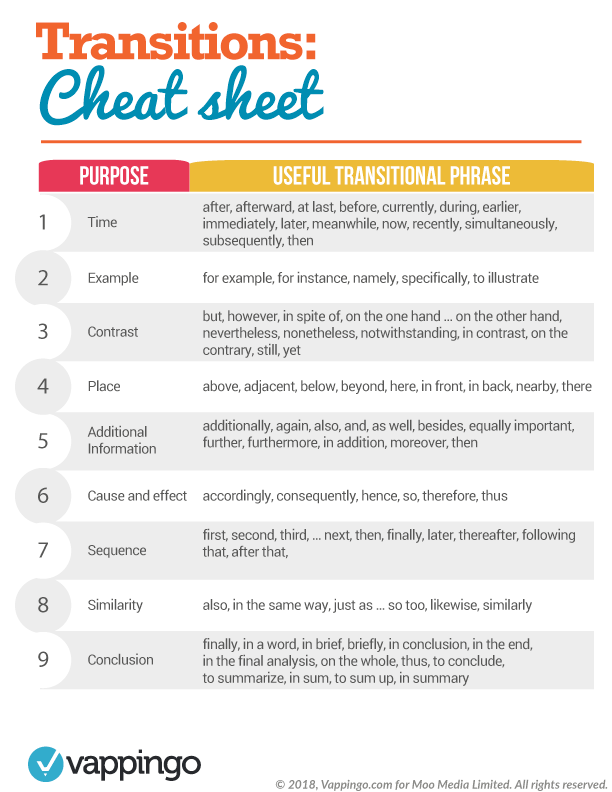 In fact, thanks to our free essay transition cheat sheet, it couldn’t be simpler! Print the sheet by clicking on the image above. This sheet was first developed as part of our guide to essay formatting. Once you have finished writing your essay, go through and review all the transitions you have already used. If you encounter a word or phrase that sounds repetitive or boring, consult the cheat sheet, find the category in which the transition best fits, and identify a better substitute. Read through your essay again. Check to see if there are any places in which you should have a transition but haven’t used one. Similarly, if you have used the same transition more than once, replace it with a viable alternative. This will give your work more pizazz and seamless appeal. Simply print out this one-page PDF and refer to every time you’re writing an essay or want to improve the flow of an existing paper. You’ll be surprised how simple it can be to take your writing up a notch. Looking for more ideas? Check out our essay tips for some really great tools that will help you through the process of writing an essay. 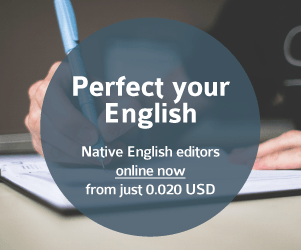 Check out our essay editing services now. 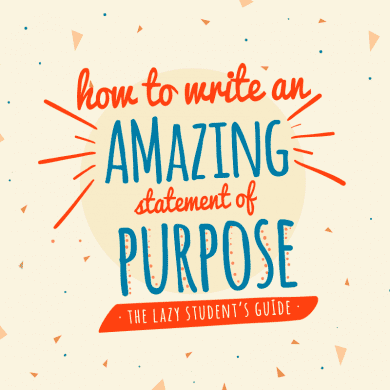 Our expert editors know exactly what to do to transform your essay from good to great.